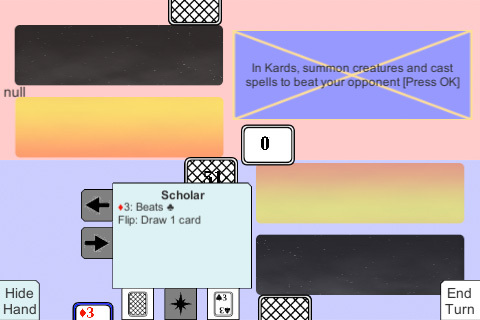 Fixed an issue where if there is 1 or no cards in hand, the left and right buttons are disabled as shown in the screenshot. Also the first message of the first level is shown in the top right. I’ve written out all the text for level 1 though I’m thinking I’ll have to write more to explain more areas of the game since it’s the first level.